The Upcoming Famous and Fabulous Romance Writers discuss the pinnacles and pitfalls of constructive criticism. How do writers feel about receiving a critique? Neil Gaiman says, “I suspect most authors don’t want criticism, not even constructive criticism. They want straight out, unabashed, unashamed, fulsome, informal, naked praise, arriving by the shipload every fifteen minutes or so”. As someone who now teaches in the higher education sector, it’s somewhat awkward to admit that I never bothered to read the feedback on my University assignments, particularly in the subjects that weren’t my strength. I knew my marks in economics or statistics or accounting were terrible but I didn’t really care. I’d flung the assignments together, rushed them to the submissions box moments before the deadline and prayed for a pass. The reality was, I wasn’t emotionally vested in supply and demand or what goes into a balance sheet. But since starting to write fiction, I’m finding the opposite. I do care what others think of my work and want feedback from my critique group. But unlike my economics mark, it can be hard not to take it personally. So much of our writing is ourselves. It’s personal, it’s emotive, it’s our deepest, darkest feelings or concerns or hopes. I find it hard to put my work out there and generate the coping mechanism required to deal with any feedback that is not-so-great. I don’t feel qualified to give advice on receiving criticism on my work as I’m still fairly new at it, but these are a few mantras that I have been using to try to gear myself up for the good – and not so good – criticisms. It’s not personal. It’s a critique of what you have written, of words on a page, not of me as a person. It helps. It really does, while initially some feedback can be a bit jarring (What do you mean cut that part out? That’s the best bit! ), most feedback can be useful in making the piece better. The things pointed out are often what I was unsure about anyway. Most of the time, the parts of my work that are niggling at me are the ones that my critique group members pick up on too like a vague motivation for a character or a lack of deep point of view or a plot hole. Constructive criticism (and sometimes less-than-constructive criticism) builds resilience. Not everyone is going to like my work and I need to be ok with it or I won’t survive in this industry. Writers need a thick skin. Take it all with a grain of salt. And if it is that bad, a shot of tequila and a bite of a lemon. I’d love to hear how others approach receiving feedback on their work. Giving a critique has its own challenges too, right? Mark Twain’s method seems particularly harsh: “I often want to criticise Jane Austen … every time I read Pride and Prejudice I want to dig her up and beat her over the skull with her own shin bone”. At a lecture on editing manuscripts I attended last year, the lecturer suggested a useful analogy: when giving feedback, imagine a weeping owner has brought in their beloved puppy for you to autopsy – you have to cut it up in order to save the rest of the litter. I keep this analogy in mind when I give critiques, and try to be respectful, unambiguous, and specific. That’s not to say it is easy: I worry about the time it will take, whether my opinion counts, how blunt should I be, and so forth. My process (in brief) is to first read the manuscript like a reader. What did I love? What tripped me up? Then I read like an editor, looking at the start, the characters, the plot, the conflicts, were the storylines all resolved, the pace, the voice … you know, that endless list!! The last stage is to prepare the critique sandwich (or kiss-kick-kiss, as I’ve heard it described): open with a slice of fresh fluffy bread, such as the manuscript’s strengths. Now layer your critique elements, then close with another slice of fresh fluffy bread, such as your favourite scene. Beating the author over the head with a shinbone isn’t recommended. We ran a poll on the RWA Community Facebook page asking writers how they ask for feedback. I hovered over the submit button for so long before finally taking the plunge and signing up for the CP scheme – and it’s one of the best things I’ve done for my writing. It’s a scary prospect, no doubt about it. I recall spending a good two hours on my ‘sample’ writing piece (I’m talking 3 paragraphs here). It’s like that first day of school, of work, not knowing anyone and hoping people will talk to you from your appearance alone. What if no one liked my writing? But it turns out, someone did – and I feel pretty lucky. If any other aspiring writers are considering taking the plunge, I urge you to! My key thing from joining – accountability. There is someone waiting to read my work and someone waiting for my comments, on an agreed monthly basis. Previously my writing was something I dabbled with when the mood would strike, which meant for a very disjointed story and sloooow progress. Now I have monthly deadlines – I need to show up and do the work – and its brilliant. Standing on the outside, looking in? Cold Chisel has asked the question, let’s answer it. What if you’ve never asked anyone for feedback. At what point do you take the plunge? How brave do you need to feel? Generally when writing, I am at my most creative and productive when I work in isolation, but writing my first novel, I also discovered that working without feedback is a whole other ballgame, like talking to yourself or laughing at your own jokes. Over the last couple of years there have been many occasions when I felt myself slipping towards the boggy mire of madness. Unanswered questions plague me: Am I getting my point across? Would that line even raise a smile? Is my main protagonist a whinging, erratic, nutcase like me? Would the reader have given my book a Viking funeral already? With my nose pressed up against the page sometimes it’s impossible to be sure. As a teacher, I know full well the value of feedback, but as an aspiring author, it’s taken a nauseating leap of faith to show my creative work to others – akin to dropping my pants and baring my backside. But when I finally dared to ask for feedback, any advice or comments received, good or bad, felt like being thrown a lifeline. Lack of feedback on the other hand, when you’ve sent someone your work and they don’t respond, that deafening silence is much harder to swallow. You definitely learn to value those friends who are there for the long haul, prepared to shed a little blood, sweat and tears with you in order to pull you from the mud. These days, thankfully, with critique from a reliable and trusted group friends (such as this little cohort) whenever I’m struggling with my writing, asking for help is not such a gut-wrenching prospect. Their support is invaluable. Yes I still feel the need to work in isolation, but at least I now know I’m not alone. But what if I don’t read Pirate-Merman-Medical-Kilted Scotsmen novellas? I’d say yes – but only if you have a clue as to what you’re talking about! In the world of romance I love all things sweet! I love to write it, read it, talk about it. Sweet is my literary cosy chair on a rainy day with a cup of earl grey. When it comes to the topic of critique does my passion for this pastel pink, sunshiny world affect my ability to offer well-rounded observations? Potentially, but like all good romances, there’s more to the story than one would initially expect. To keep things interesting with my True Love I need a little extra. Nothing permanent mind you – just a little sum’n-sum’n. This takes place in the form of a late night internet search or slinking visit to the bookshop to indulge in a little fling. You know the sort: a flirtation with historical and action, the meaningful glance with popular fiction, a loaded smile with mysteries. Harmless. In fact I’d go so far as to say it’s my dalliances that keep my sweet relationship so strong. So when asked to critique an action scene, I can do so with understanding of pace. With a historical piece, I am familiar with description and language and I am acquainted with intrigue when it comes to mystery. While it’s my writing that helps me to indulge in the world of sweet, it’s my reading that helps me give a more informed critique. And as for how my sweet writing benefits from receiving suggestions of writers of various subgenres – they have given my plot a… well some plot (! ), my heroine some gumption, my description a sharper focus and a gushy love declaration a reality check – all of which sounds like a sweet read to me! What we have all learned is that the more we critique, the better we get at it, and our own stories benefit too. What are your constructive criticism stories? The Upcoming Famous and Fabulous Romance Writers are five aspiring and emerging RWA members. 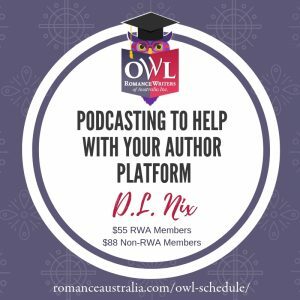 Like many new RWA members, we worry about our skills, we have pride in our growing accomplishments, and we are nervous about whether we can ‘make it’. We share our journey from newbies to (fingers crossed, hearts wildly beating) accomplished writers. 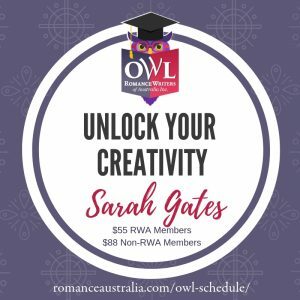 We connected at the RWA Conference 2017 in Brisbane, and formed a support group that has become an important step in our writing journey. We can be found on various social media below. We’d love you to come visit. This was such a fabulous post! Thank you so much for sharing all this information. If I were to give a critique it would be … wow! Each of the perspectives gave a wonderful insight (and some great ideas!) regarding constructive criticism. Thank you! Thanks for the enthusiastic response Penelope! Feedback is always a bit of a thorny subject isn’t it? What’s been your experience to date?